Real estate conglomerate China Evergrande Group saw its sales growth moderate in 2018 as the country's property market continued to stabilize. 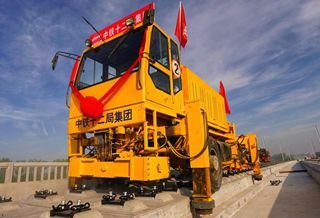 The company's sales on contracts reached 551.3 billion yuan (about 80.5 billion U.S. dollars) last year, according to a company statement. That was a 10.1-percent increase from 501 billion yuan in 2017 when sales posted a year-on-year growth of 34.2 percent. The company aims to increase its sales to 600 billion yuan this year, according to the statement. In 2018, the company sold 52.4 million square meters of properties at an average price of 10,515 yuan per square meter. The company's shares listed in Hong Kong fell 0.45 percent as of 10 a.m. Tuesday. China's real estate sector has been expanding at a slower pace in recent years due to government control measures. Property sales grew 12.1 percent year on year to 12.95 trillion yuan in the first 11 months of 2018, down 0.4 percentage points from a year earlier.